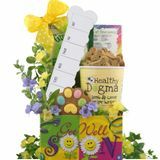 College Care PackagesCollege students love these, you can't go wrong!/Mother's Day GiftsDelivering gifts that create lasting memories. SAME DAY SHIPPING � Our policy is to ship all orders placed before Noon MT Monday - Friday the same business day. Orders placed after Noon MT, or on weekends and holidays, will ship the next business day. DELIVERY - Estimated delivery date is provided at checkout. Keep in mind these are only an estimate and not a guarantee. You can relax, most deliver as scheduled. 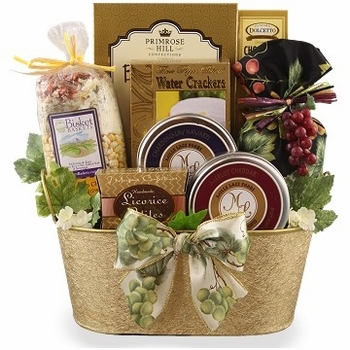 SHOP NOW-SHIP LATER - Use this option so you don�t miss any special occasions. 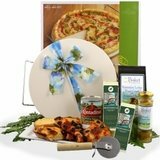 Simply enter the date you would like your gift to be delivered in the �Shop Now-Ship Later� box when checking out and we will target that date for your delivery. This is a free service. Butterscotch Candies by Primrose Hill Confections 3 oz. Dolcetto Chocolate Pastry .9 oz. Three Pepper Blend Water Crackers 2 oz. 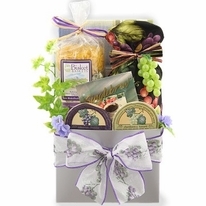 Sending the perfect wine gift is easy with this outstanding wine gift basket. 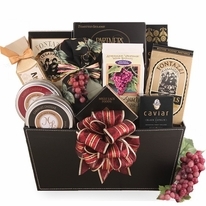 Perfect for both corporate and personal gifting, our Chateau Wine Gift is filled with wine themed products like the ever popular wine flavored cheese spreads including the highly sought after Wine Glace� a winner of 2 national Gourmet Food Shows. With this versatile product, your recipient can mix with their own wine or use fruit juices for an outstanding new refreshing adult or family style beverage. Our Chateau Wine themed gift is perfect for both corporate and personal gifting as it can be delivered into offices where alcohol is a no-no along with where alcohol is acceptable as well. 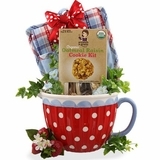 The golden oval tin is also reusable for holding treasures of any kind and and is sure to make your gift remembered long after the goodies are gone. 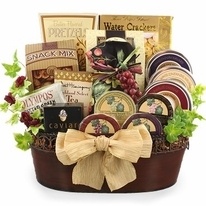 Sending and receiving gift baskets are the perfect choice because everyone loves to eat delicious foods! 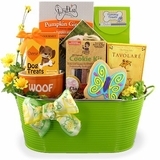 Click the Details tab to see the full list of products included. 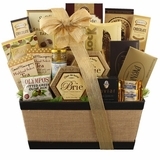 Enter a message that you'd like included with your gift. 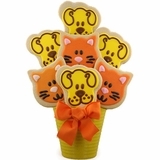 Please limit gift message to 12 words to be handwritten on card. Longer messages will be included on packing list only. Your special message can be handwritten on an upgraded gift card to add a personal element to your gift. The Custom Handmade Cards are unique and no two are the same. The card itself can be a keepsake of your thoughtfulness. Custom Handmade Bow - Design Experts will select the perfect ribbons to create a bow which will make your gift look its very best. Simple Bow - We will match your gift with the perfect color bow. 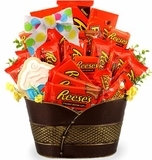 Floral Enhancements can be added to make your gift look its very best, unrivaled in presentation, appearance and arrangement. 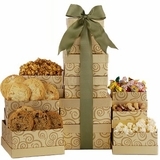 No other gift company can compare! Join Our eNewsletter Receive Exclusive Offers, Specials & More! 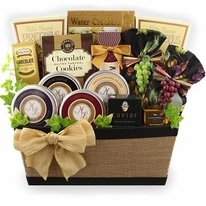 Bisket Baskets is celebrating its 20th Anniversary. Thank you to our Customers! © BisketBaskets.com. All Rights Reserved.